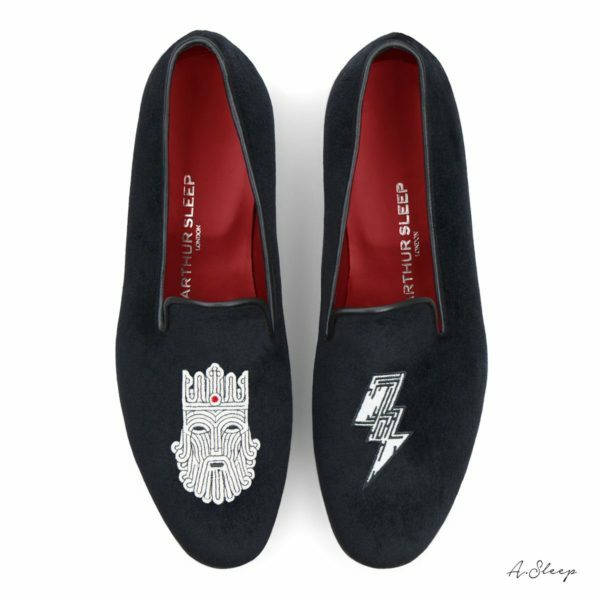 Our classic velvet slipper adorned with a Wolf hand-embroidered motif in gold bullion thread. A symbol of strength and loyalty. Imagine a cloud-like padding around your feet. This is the ultimate experience in comfort!